Backpack – check. Six notebooks – check. Ten pencils – check. Crayons – check. Highlighters – check. Pens – check. Six folders – check. Markers – check. Paper towels – check. Tissues – check. Hand sanitizer – check. Ear buds – check. Flash drive – check. New shoes – check. Lunch bag – check. Lots of money spent – CHECK! Going back to school is expensive. Tutoring in all subjects, language learning programs and reading help is also expensive but it doesn’t have to be. 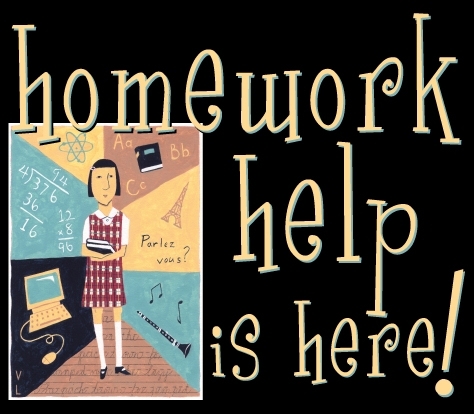 There is no need for expensive homework help services when the Kenton County Public Library can help you for free. You can Book a Librarian for children in grades K-5 at the Covington Branch most days. Librarians are available (by appointment only) to help with homework, study skills, projects and more. Call 962-4077 to book an appointment. 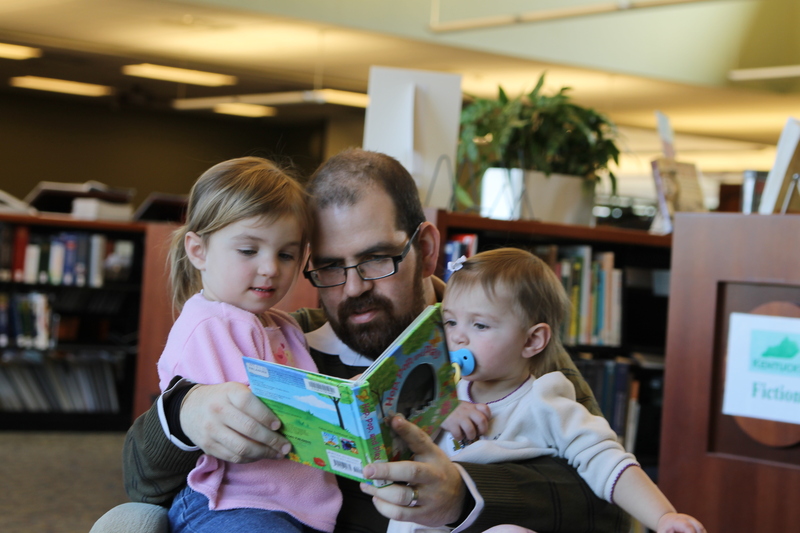 Young children are encouraged to grab a parent and attend Family or Play Art storytimes. These programs encourage the love for reading and interacting with books in young children, which is important for school. Check out the full schedule. Puppy Tales, offered at all three branches, can boost a child’s reading level and make them a more relaxed reader. Students in grades 1-6 can read to a real dog. Studies show that reading to a dog boosts children’s confidence and tests scores. 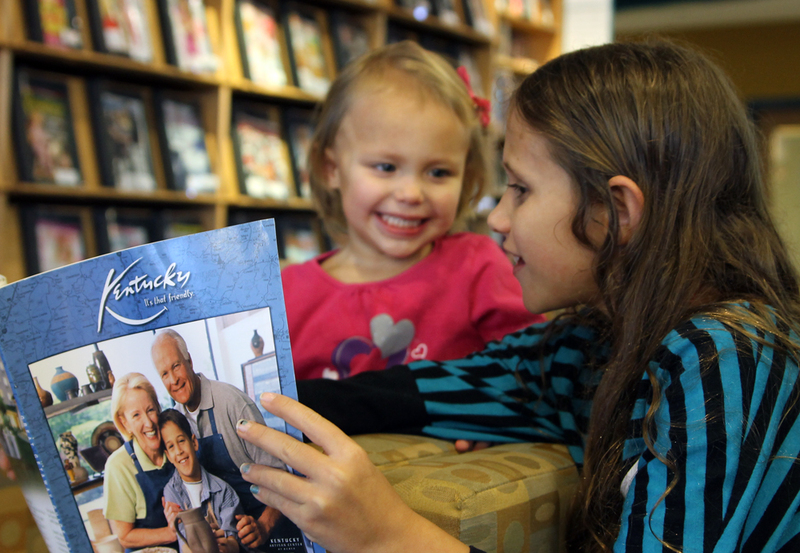 Reading Buddies, for children ages 2-12 at the Erlanger location, allows children to read books with an adult reading buddy. We’ll even save you money on dinner by providing pizza! The Library can even help the kindergarten families save a little money on supplies. We will once again arm every kindergartener in the county with a kindergarten pack. This pack includes a pencil, crayons, an eraser, a sharpener, a “50 Books” list that every kindergartener should read and library information. We can even help your child with their foreign language class. We have online programs and downloadable books to help with Spanish, Chinese, Italian, French, German and almost any language you can think of. You can even access it from any computer with an Internet connection as long as you have your library card number. The Library databases provide homework help, practice tests, ACT practice tests, articles for research and must more. These can also be accessed from any computer with an Internet connection as long as you have a library card. Check out an overview of services. We have a SURPRISE GIVEAWAY! 1. 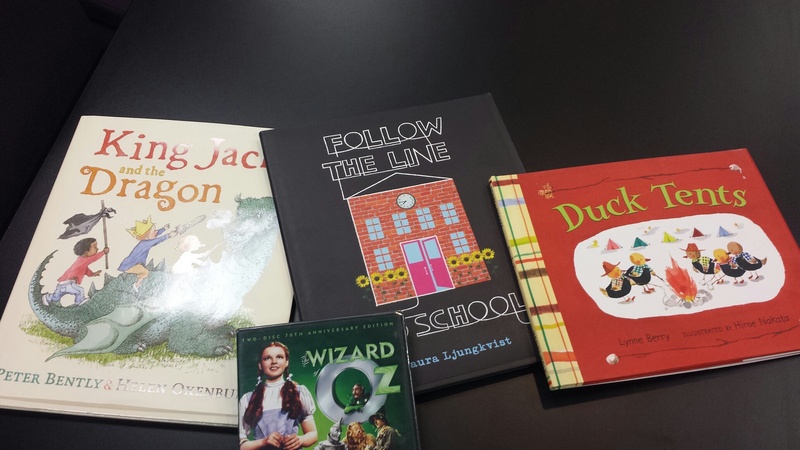 Three children’s books: “Follow The Line To School” by Laura Ljungkvist, “Duck Tents” by Lynne Berry and “King Jack and the Dragon” by Peter Bently and Helen Oxenbury. 2. The two-disc 70th anniversary edition of The Wizard of Oz DVD. 3. A pencil pouch with basic supplies. 4. A Kenton County Public Library book tote bag. You can enter several ways. Be sure to comment separately for more chances to win. Enter by noon on Monday, August 12. We will randomly choose a winner through random.org, who will be announced on our Facebook page and emailed. The winner will have 24 hours to respond and claim their prize. 4. Are you ready for the kids to go back to school? Why or why not? Read – Play – Win! The Kenton County Public Library Summer Reading Club for teens, adults and children is in full swing! A whole world of adventure awaits you in books and programs at the Erlanger, Durr and Covington branch libraries. The best part is: you can win prizes just for reading! 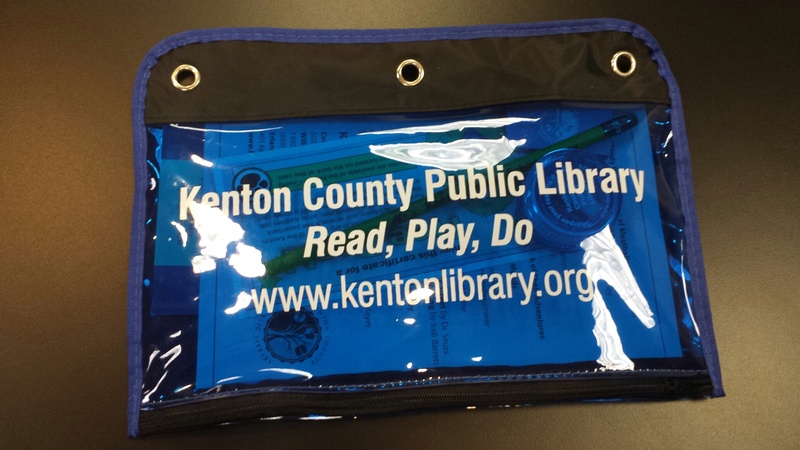 Children ages 2-10 can visit any Kenton County Public Library location to pick up a reading log. Once children read, or their parents read them, five books, they can pick up a prize. 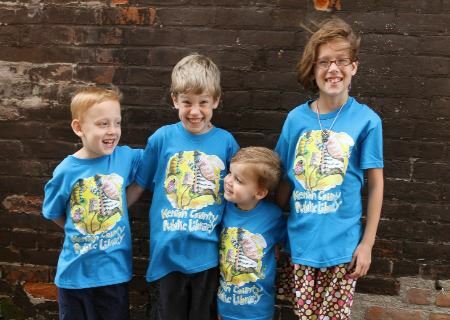 Once children reach 10 books read or listen to 10 books they earn the annual KCPL summer reading t-shirt. They can also enter a raffle to win more prizes, including the grand prize of a Nintendo 3DS XL. Children’s illustrator and author David Catrow designed the T-shirt art. For teens in grades 6-12, the library has planned many great programs, like a Summer Lock-In and monthly movie nights. Teens can enter weekly raffle drawings for reading and attending programs as well. For each book , and program attended, teens can complete an entry to win a prize each week. Prizes include iPod touch; Kindle Fire HD, Amazon gift card, Visa gift card, Game Stop gift card, and restaurant gift cards. The grand prize is a Chromebook. Adults will receive a raffle ticket for every book read or program attended as well. Weekly drawings for prizes include gift cards to local book stores, and a grand prize of a Nook HD. Kenton County Public Library’s Summer Reading Club runs through August 31. Visit www.kentonlibrary.org/src for more information. Many prizes are made possible thanks to the Friends of the Kenton County Public Library. 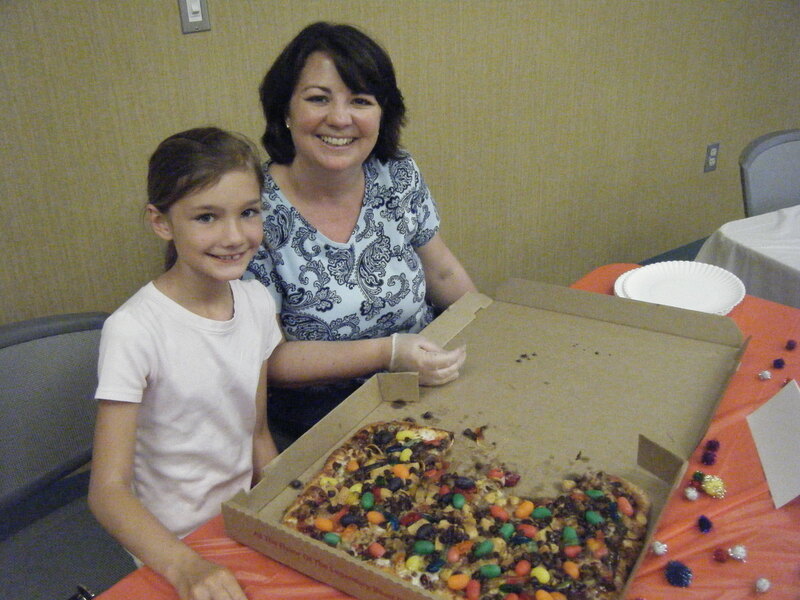 Snappy Tomato Pizza and Family Friendly Cincinnati are also sponsors of the Kenton County Public Library Summer Reading Club. Watch this cool video about Summer Reading Club. Racing to Read 5K Walk & Run & Summer Reading Kickoff – Saturday, June 8 at 9 a.m. The Library 5K and Summer Reading Club will kickoff together. Proceeds benefit early childhood literacy. 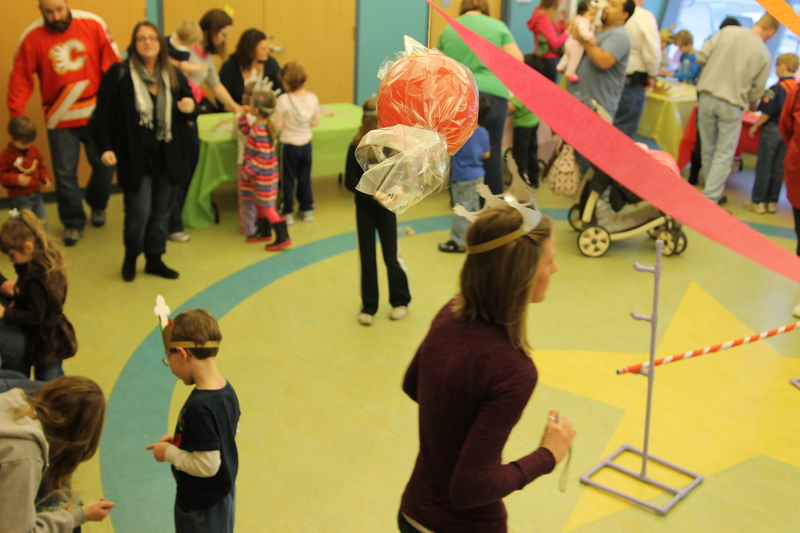 Cincinnati Circus balloon artists, face painters and jugglers will be there too! Bollywood – Thursday, June 20 from 3-6 p.m. for those in grades 6-12 – Journey to India, watch a Bollywood film, create mehndi body art and enjoy Indian food. Teen After Hours – July 19 from 7-9 p.m. for those in grades 6-12. Hang out after hours and check out the new Young Adult Area! Craft it, Eat it – Wednesdays in June & July from 2-3. Create crafts you can eat! Children ages 5-12. 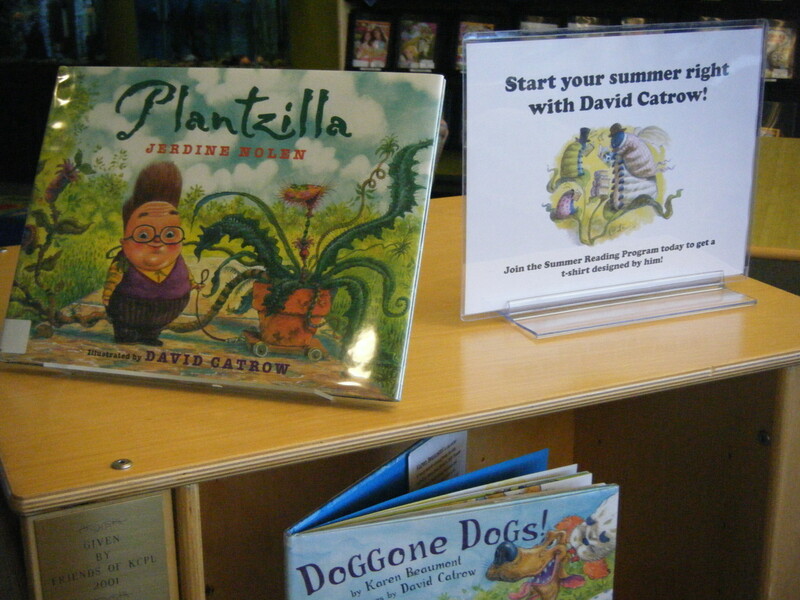 Fun with David Catrow! – All ages. Thursday, July 18 from 2-3 p.m. Meet, listen to, and watch him draw! Children’s author and illustrator and creator of this year’s Summer Reading Club art is looking forward to meeting you. Morse Code Jewelry – Monday, June 17 from 6-8 p.m. for those in grades 6-12. Make a necklace that doubles as a secret message. Bring a friend who has never been to the Durr Branch and you will both get a prize! Christmas in July – Monday, July 29 from 6-8 p.m. for those in grades 6-12. White elephant gift exchange and Christmassy photo booth. All kinds of fun games, activities, crafts and snacks guaranteed to make you forget how hot it is. Craft supplies provided to make the gifts. You do not need to bring anything. The Music of Zak Morgan – Saturday, June 22 at 11 a.m. for all ages. Grammy nominee Zak Morgan’s unique brand of children’s music delivers songs and poems with wit and charm that inspire and tickle the funny bones of children and adults. Meet David Catrow! – Thursday, July 18 from 7-8 p.m. for children in K-5 and a parent. Meet, listen to and watch him draw! 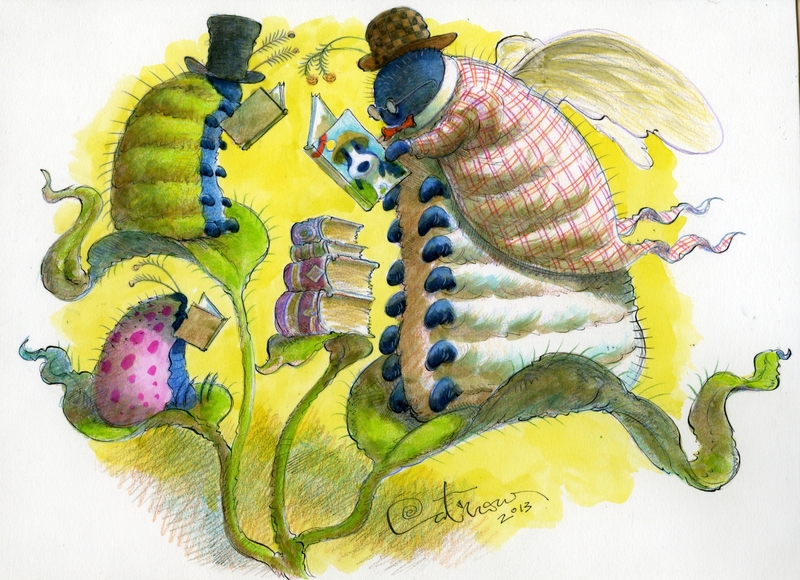 Children’s author and illustrator and creator of this year’s Summer Reading Club art is looking forward to meeting you. 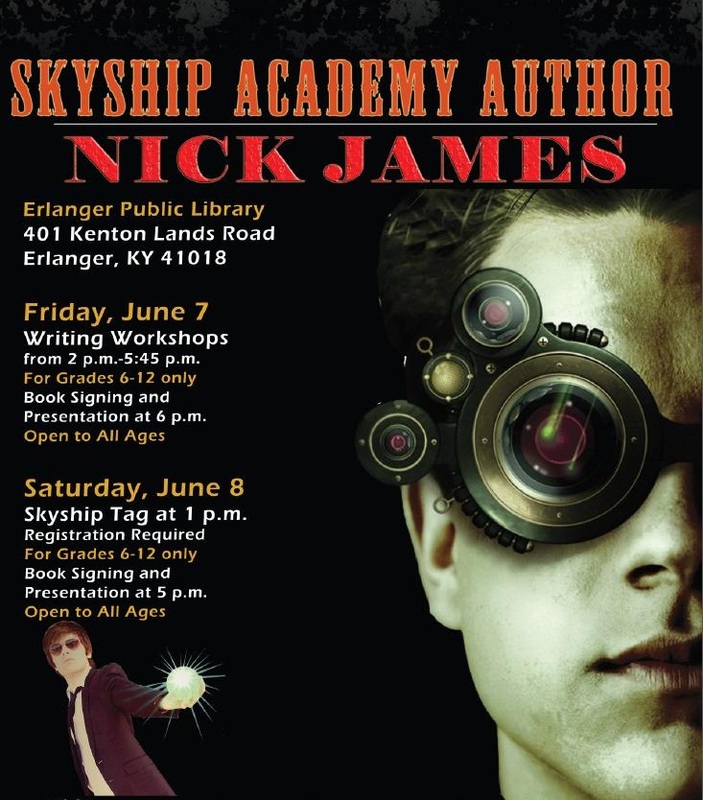 Presentation with Author Nick James – Friday, June 7 at 6 p.m. and Saturday, June 8 at 5 p.m. Everyone is invited to join the author of the series “Skyship Academy” as he talks about becoming a writer, his created world of Skyship and answers your questions. Get your books signed, or win a free signed book. Skyship Tag – Saturday, June 8 at 1 p.m. – Join the author of the “Skyship Academy” series Nick James as he hosts a unique game of capture the flag based on his books. This program is for those in grades 6-12. Registration is preferred, parental permission for this outdoor physical activity is required. Circus Mojo! – Mondays, June 10 & July 15 at 6:30 p.m. The troupe from Circus Mojo will be here to present a short show and then guide participants in workshops to learn circus skills like juggling and balancing. The show on July 15th is a repeat of June 10. This is for those ages 7-17, and registration is required. European Vacation Food Series – Tuesday, June 25, Wednesday, July 24 and Wednesday, August 14 at 7 p.m. Take a culinary trip through Europe this summer. Samples will be served. This program is for adults only. Songwriting for Teens – Mondays, June 10, 17 & 24 and Mondays in July from 4-5 p.m. Join us for an eight-week songwriting workshop sponsored by the Carnegie. Find the perfect title, create lyrics and the structure of the song. This program is for those in grades 6-12. Please register. Beginning Reader’s Theatre – Tuesday, June 11 at 2 p.m. for those ages 8-12. Learn the basics of Reader’s Theatre by participating in charades and acting out short plays. All props provided. Meet David Catrow! – Thursday, July 18 at 10 a.m. for children in K-5 and a parent. Meet, listen to and watch him draw! Children’s author and illustrator and creator of this year’s Summer Reading Club art is looking forward to meeting you. 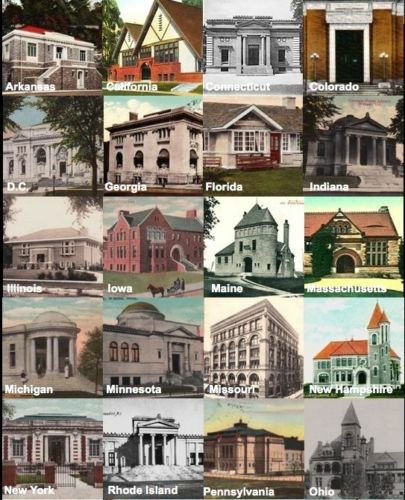 Send us a postcard from your vacation and we’ll display them in the Library. These are just a few of the dozens of programs being offered at each branch this summer. Please visit our website for additional programs, details and to register (many require registration) or stop by the library and pick up a calendar. Don’t forget to pick up your book log or raffle tickets. Covington Branch Library – Saturday, June 2 from 1-3 p.m.
Erlanger Branch Library – Sundays, June 16 & July 21 from 2-4 p.m.
Reading Buddies – Erlanger Branch Library – June 15 & 29 12-2 p.m. and July 13 & 27 12-2 p.m. – English and non-English readers are welcome to read with a buddy and improve their reading skills. Storytimes – Storytimes are located at all three branches on various days and times. See the calendar or website for a full listing. Teen Book Club – Beyond the Book is a book club offered at the Erlanger Branch just for teens. Visit the website for details. These are just a few of the programs that keep kids reading and the creativity flowing. Any questions or comments you have can be left here on the blog, or you can call your local branch to find out more! Just go to the KCPL website and look for the contact information on the left side of the page.